September 2014 – Jacobs and Company B.I.T.S. Let’s talk some specs. Both new phones are running Apple’s new A8 processor claiming increased processor speeds by 25% over the previous Apple processor, not to mention 50% better graphics performance. The new camera hasn’t improved much; weighing in at 8MP, it is capable of taking 1080p video at 30 or 60 frames per second. That’s some super-sized video recording capability. Speaking of size did I mention that the screen on the iPhone 6 is 4.7″ and the 6 plus measures a whopping 5.5″? With this new larger size there is room for a new larger battery, increasing the talk time of the 6 by 1 hour and the talk time of the 6 Plus by 14 hours over the iPhone 5s. Other big news regarding the iPhone 6 and 6 Plus is increased storage. The new phones now come with your choice of the ever popular 16GB and now the new 64GB and 128GB of storage — yup, that’s right. 128GB of storage in a phone. What do these monster phone/tablet hybrids cost, you might ask? Well starting with the iPhone 6 the 16GB model is $199, the 64GB model is $299, and the 128GB model is $399. The 6 Plus will run an extra $100 more than the 6 for each capacity level. These prices are of course with a new 2 year contract from your friendly neighborhood cellular service provider. By now you are likely to have heard about issues with the new phones and the new version of iOS. They are all true. iOS 8 is causing problems for lots of people. If you haven’t updated to the latest version of iOS 8 hold off. Give Apple a month to shake the bugs out. The same goes for the new iPhones. They are great phones, but like most new devices there are some bugs in the software. Regarding the bending phones all I can really do is shake my head. Why in the world would you put a skinny piece of aluminum in your pocket and sit on it. Thank heaven the glass didn’t break. If you want to sit on your electronics go get a Tough Book — they drive hummers on those little fellas. Have some common sense and protect your investment with a case, like the rest of us. If you have the new iPhone 6 or 6 Plus I would love to hear how you feel about it so far. Go to http://facebook.com/JacobsCompanyBITS and leave your comments below the article. I mentioned in a previous article that wearable technology was here to stay, and with Apple now on board with its new iWatch you can bet Apple believes that too. The new iWatch is not due out until sometime early in 2015, but Apple debuted this new little piece of tech as one more thing at their annual iPhone release. Like everything else Apple makes, the iWatch looks beautiful. There is a look for every occasion from formal to fitness. The focus on form is truly evident in the multiple designs that will be available for this “watch.” But it is not really a watch. It is an extension of the iPhone that you carry with you everywhere you go. The iWatch gives you access to email, text, and social media without having to take your phone out of your pocket. The iWatch integrates with Siri, allowing you to use voice controls for your phone through the watch. It is a fitness tracker that includes a sensor for tracking your heart rate. All of the health data integrates with the new health dashboard and feeds a health app that helps you set and meet fitness goals. The face of the watch is customizable and the home screen displays a cloud of apps that you can move around in with simple touch gestures. The crown is part of the user interface, allowing you to zoom in and out of apps like maps and scroll quickly through lists. The touch interface is pressure sensitive so it can distinguish between a tap and a push allowing the interface to respond correctly. The iWatch comes in 2 sizes, 3 models, and has 6 interchangeable bands. As I mentioned earlier, iWatch is due out early 2015, and the price will start at $349 for the “Watch” model. The other 2 models are Sport and Edition, each of which should be available at the same time with faces in sizes for both men and women. To borrow a line from Apple, “one more thing”…Let’s talk about the charger. This watch needs power. A single coin cell battery isn’t going to keep this digital beast going. It has to be charged. You don’t plug it in to charge it though. The iWatch uses a magnetic cable that latches on the back surface of the face and uses inductive (wireless) charging to feed juice to the iWatch. I am looking forward to the iWatch release. Maybe if I save up my wife will let me buy one for my birthday. You may have heard in the news about the latest apocalyptic technology threat, the Bash Bug also known as Shellshock. The media may have over hyped this one a little but the threat is certainly real. Most of the servers on the internet that provide access to the web pages you surf every day run Linux and are potentially vulnerable. The Bash Bug is also capable of getting into other equipment like routers and switches whose software is frequently based on Linux. Macs running OS X are also based on similar software at the core and are vulnerable to the Bash Bug but only if they have the advanced Unix services enabled. OS9 and earlier Macs are not affected according to Apple. The good news — for once, Windows devices are unaffected! Linux is an operating system like Windows and provides the basic interface for people to interact with the device. Bash is part of that interface in Linux and it has a very old bug that hackers have discovered how to exploit. By sending a properly structured text command over a network to one of these machines a hacker can get the Linux computer to run programs and do things that would require authentication and security privileges normally. This is frightening because a hacker can essentially hijack one of these devices and use it for anything they want: sending spam, hosting viruses or illegal content, or attacking other systems. Now for the part that really makes security pros nervous. In the past I have talked about The Internet of Things. The light bulbs, toasters, and ovens you can control from your phone over the internet are all examples of devices that are part of The Internet of Things. These devices in many cases run a tiny Linux operating system that uses in many cases the insecure version of Bash. Unlike the Servers, routers, and switches that run the internet and many internal networks, these devices don’t have good security and typically lack any way to patch them when security flaws are discovered. You might be thinking really who wants to hack my cool new remote controlled GE light bulb? How could it have the power to do anything? Have you ever seen a locust? They are small and easy to kill, but if you have a swarm of them like in one of those movies that shows the plague of locusts on Egypt you have a good reference point for thinking about what kind of power someone controlling hundreds of thousands of these devices might be able to wield. If you are concerned about your web servers and network hardware most vendors have patches out already to secure the affected devices though your toasters are still vulnerable and there really isn’t anything to do to fix them at the moment. I recommend that if you are running a Linux server you contact your IT department and patch it. You should also have your IT provider check to see if any of your network devices like routers, switches, and wireless access points have been identified as vulnerable by the manufacturer and patch them immediately as well. The Microsoft family of hosted cloud services known as Azure is testing 2 new services that could prove to be killer apps — moving infrastructure into the cloud. Azure files provide a simple Windows file share based storage that can be accessed by multiple Virtual machines running inside Azure. Azure Remote Apps, also in beta testing, allows you to create virtual machines that run line of business and custom applications over a remote desktop connection as if the applications was installed directly on your computer from anywhere in the world. Azure Files uses a technology called SMB to share files the same way you share files now on your local network on a file server or network attached storage device. Before Azure Files you had to use Azure Disks to provide storage to your VMs running inside Azure. Azure Disks could only be accessed by a single VM at a time and then you had to share the files from inside the VM. Azure Files allows multiple VMs access to the same storage so they can share data and files. It is even possible — though not very straight forward and a little difficult to set up — to directly access this storage from your local network over a VPN connection using a feature called ExpressRoute in Azure. If it becomes easy to store and access files in Azure using technologies like SMB that small businesses understand this could make Azure a great storage platform for infrequently accessed files and documents. Remote App allows you to pay a monthly fee for users to access Azure desktops from anywhere in the world and run your applications just like you do in the office. For my accounting folks out there imagine hosting your audit software like Engagement CS on a server in the cloud and being able to run the application like you were sitting in the office connected directly to your server and not in some disconnected mode with only the client data you took with you. Well, we can do that now but it requires Remote Access licenses and servers or desktops that need hardware and Windows licenses to run. With Remote App the licenses for the server and Remote Access are included in the monthly user fee. 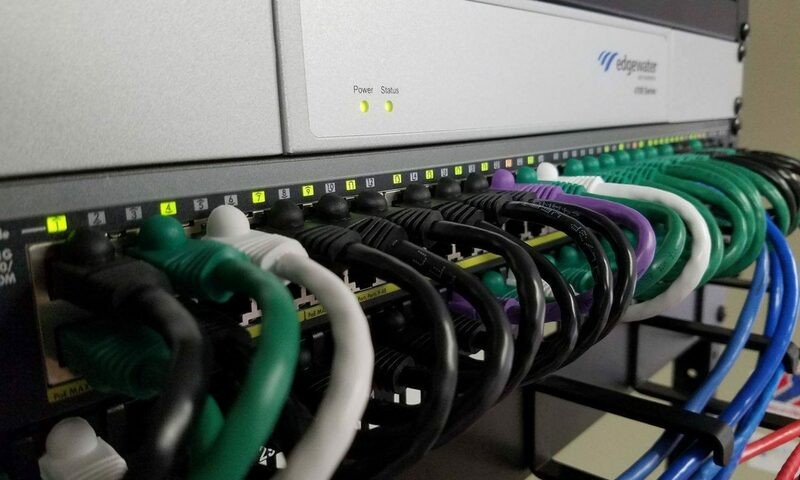 It integrates with your existing on site infrastructure and can even allow remote desktops access to your onsite infrastructure in a hybrid configuration. This service is free while it is in beta testing, and I have yet to see any pricing for when it finally goes live but if it is in the $4-$5 range per user this could be huge for small and medium businesses with lots of users who need to work remotely. I believe that more and more of our technology will move to the cloud and that very soon small and medium businesses will have almost no infrastructure in their offices. The savings and predictable cost of cloud services like Azure combined with the highly available, powerful infrastructure within the cloud will soon give small and medium businesses like yours access to the same power and resources as large enterprises while still allowing your business to be nimble and efficient through the strategic use of technology. The new services that Microsoft is testing and bringing to Azure only strengthen my belief in the cloud for small business in the very near future.